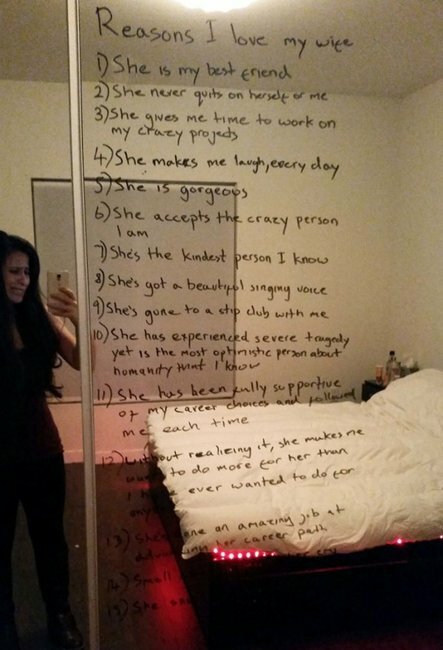 A husband has written all the reasons he loves his depressed wife on their mirror. 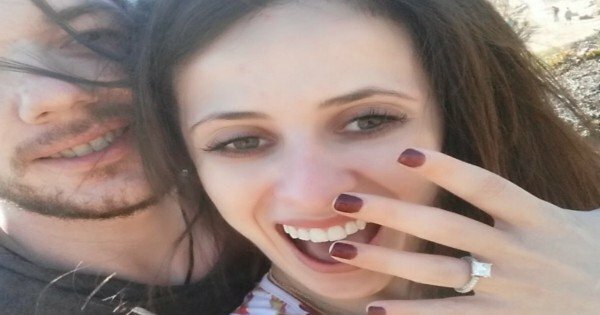 A woman battling depression has shared a moment that gave her hope, a moment that showed her how much she is loved. A moment that has now gone right around the world after she posted the image on Imgur. Molly Murphy, a newly married woman from LA had just returned from a trip to San Francisco and, as she says was feeling low. Molly posted the image on Imgur, where it went viral. 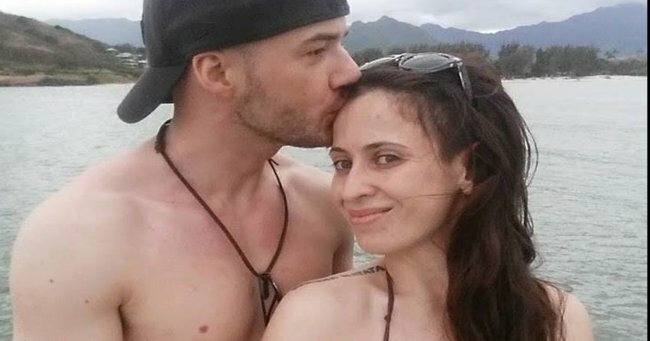 Molly explained that she is aware that she has not been “the easiest person to deal with” during the tough times, admitting to taking out her anger on her husband by shouting at him and locking herself in the bathroom. She says that she is amazed the image had such an impact on people “I’m torn between shocked, mortified, embarrassed, proud, nervous.” she wrote on Facebook. Reasons I love my wife. For everyone reading this, please know that mental illness is NOT cured by nice words on a mirror. In fact, it takes professional care, love, empathy, sometimes even medication. Many people struggle with it – more than you probably even realize. And instead of showing them hate or anger when they act out. Show them kindness and remind them things can and WILL get better. Everyone needs a little help sometimes. If that person can’t be you – see if you have any resources for therapy. Lastly, I am not an evil person. I am not “too good” or “not good enough” for my husband. We all have our down days. And sometimes we don’t handle it well. BUT, we are partners. He is here for me when I’m done. And I cherish that. But what I failed to mention is that HE has his down days, too. And I will be there to hold his hand, just like he holds mine. Life can be hard. The answer is never to mock, scoff, or belittle someone. Be kind. Be the best version of yourself. And be most of all- be patient.